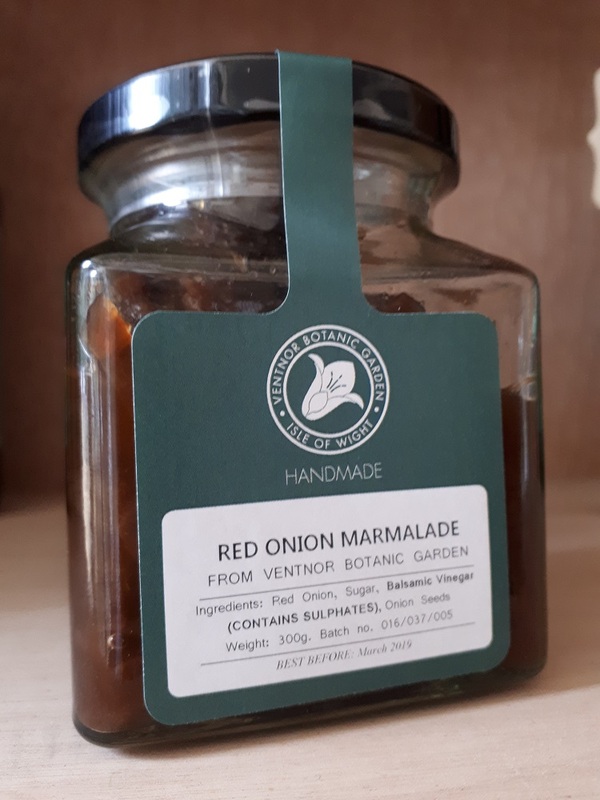 A delicious red onion marmalade handmade by Ventnor Botanic Garden’s award-winning chef, Brad Roe. 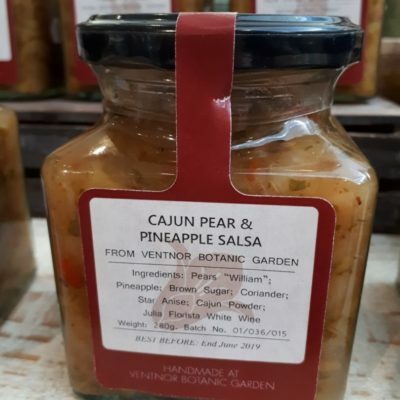 This is an ideal relish to sit alongside your cheeseboard or to replace any well-known pickles for your cheese sandwich. 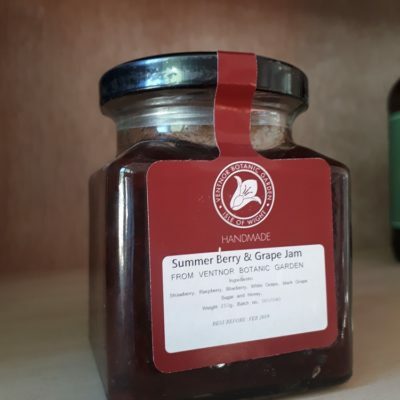 It also work as an ideal relish on burgers and sausages. Ingredients: red onion, sugar, balsamic vinegar (which contains sulphates) and black onion seeds.